Android Marshmallow was debuted in October of 2015 and it’s still only used on around 26% devices. Google debuted Android Nougat officially in September and sadly it’s just over 0.4% devices. All of this is due to the Android Version Fragmentation. This problem has plagued the ecosystem since ages. The sheer number of devices out there make it absolutely difficult to get all the users on the same release. On the other hand, iOS users get updates for even 4-year-old devices and the users on the latest release are well over 90%. While we wait for Google to fix the version fragmentation issue why not quit the rant and let’s take a look at everything that makes Android Marshmallow and Nougat unique in their own ways. We’ll be focusing on key features of both the releases and give a final verdict. Android Nougat brings with a host of new multi-tasking features and one among them is multi-window support. Multi Window basically allows you to operate two apps on the phone simultaneously. This is not that big of a deal for smartphones because the amount of real estate available on phones doesn’t allow for full-fledged multi-tasking.You can invoke multi-window by long pressing the recent apps button on the navigation bar. If you are in a supported app, you will see the app resizes to take only one-half of the entire screen. If you didn’t know this yet, Google had been working on Multi-Window Support since Android Marshmallow and you could enable the feature with a simple build.prop file modification. The feature didn’t however, make it to the final release as it was half-baked and unstable. 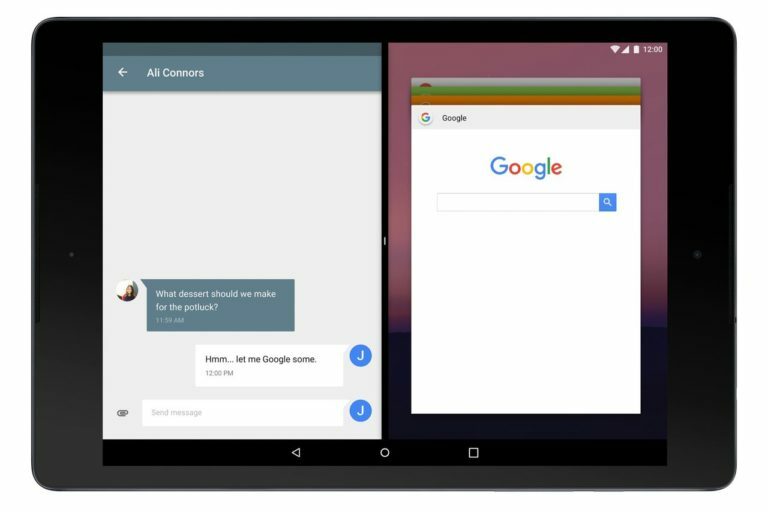 Nougat brought with it the stable version of Multi Window and as of now, it makes Android Tablets actually usable. As of now, you can only use two apps simultaneously. There have been speculations of a Free Floating mode for tablets to allow you to use multiple apps simultaneously like a desktop computing environment This feature brings Android’s productivity closer to that of the likes of Windows 10. 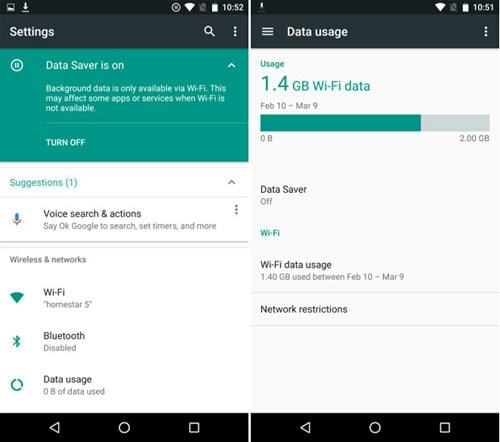 Android Marshmallow brought with extra optimization to battery consumption with a feature called doze which essentially put the device into a deep sleep state, powering down all sensors and radios to reduce battery consumption but on Marshmallow this mode only kicks in when your device is stationary for prolonged period of time and while this mode was great for tablets which are used not that often, phones didn’t get much of a battery boost of sorts. 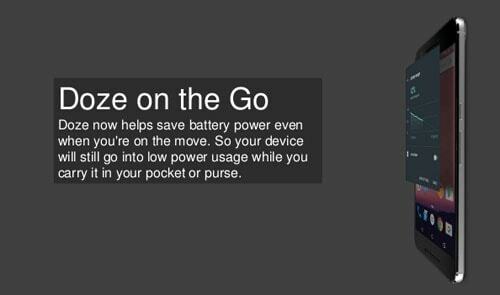 Google took this to task and with Android Nougat they introduced Doze On The Go which puts your device to sleep the moment you turn off the screen. After this, if you let your device down and keep it so for a while, the deeper more aggressive doze mode will kick in. This feature has seen huge power consumption improvements across the system as network calls made by apps are now deferred to a small window and all the calls or sync jobs are batched up. So users moving on from Marshmallow to Nougat will notice a significantly better battery life. Notification was one is where not much work was done in the Marshmallow release. 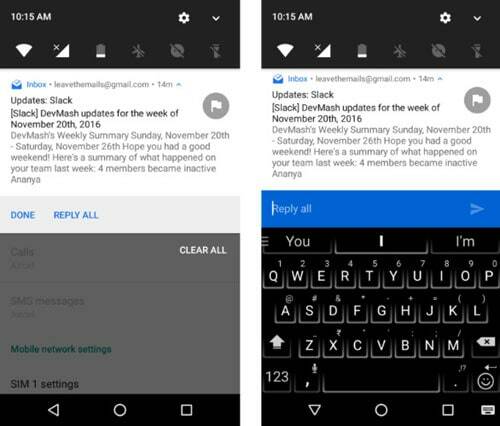 The last revamp was made to the notifications during the release of Lollipop which brought a new design language to love, Material Design. This addition included the heads up notifications which served you the notification even when you were in immersive mode on an app. With Nougat, notifications have been supercharged, meaning that now they have a direct reply option built right in. So you can interact with them without leaving the app. This saves a lot of time in interacting with an app and simultaneously replying to the notifications. Another improvement is bundled notifications, not only are notifications from each app bundled together, you can also drill down into each individual notification and interact with it. The change made on this component of the system is the feature of Direct Reply which lets you interact with the notification right in the notification shade, without leaving the comfort of your app. Android has always been about helping you get things done fast. And one element which closely lives by that ideal is quick settings. Quick Settings are a set of toggles that you can switch on or off as per your need. Until Marshmallow you could only get hold of those settings by performing swipe down twice action to turn things on or off. Now on Nougat, your top 6 toggles will be just a swipe away, saving you that precious second or two. This is fully customizable as well, so you get to decide what setting you want to keep on the quick settings menu and what to delete. This is almost an attempt at getting Android closer to the custom ROMs realm where you get full control over the system. Settings is one of the apps that help you fine tune your phone to your own will. 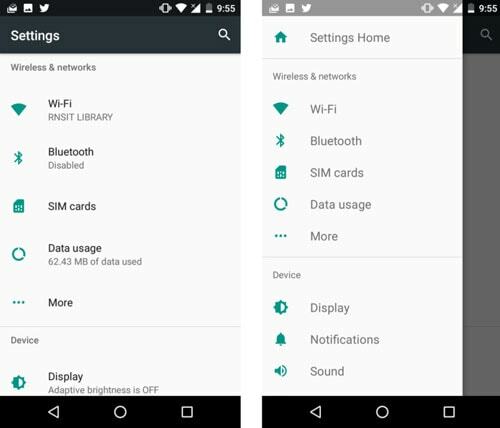 The first major change to Settings came with the release of Android Lollipop. That change mostly focused on making the app Material Design Compliant. 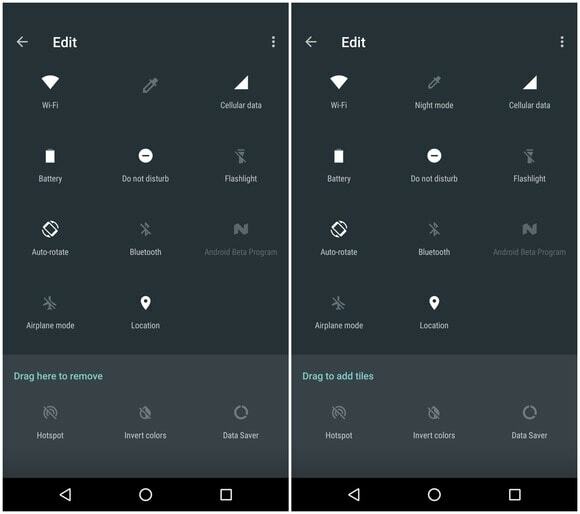 But with Nougat, there’s been a whole lot of improvements that have been made which include a new way to navigate inside the Settings app using a navigation drawer. So this basically means that you can jump from one option to another just with a swipe of a finger. The options have more information now. For example, the Wi-Fi option tells you what network you are connected to, the Bluetooth tells you what device you are paired with. This is just a helpful glanceable piece of information to make your life a little bit easier. On Pixel devices, you can directly reach customer support on the settings app but since that’s not a standard Android thing, we’ll skip it. This is an exclusive Nougat feature. 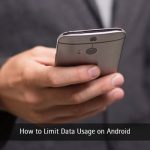 On Marshmallow, the only way to save your data consumption was by restricting background access or by using a popular third party VPN solution. But on Nougat, Google baked this one just right in. So you can toggle the Setting on and get to know exact details of which app is sucking up most of your data volume and then control it right from within. This is another one of Nougat’s exclusive feature. Along with a new Picture-in-Picture mode for Android TV thanks to the multi-window mode, televisions, and devices like the Nexus Player will also be better with Nougat. In Android Nougat, the ability to record and playback content from Android TV input services via new recording APIs for developers has been added. This another one of those nitty gritty additions made to the system which isn’t so noticeable but is usable as hell when the need be. On Nougat (again!) you can switch between your last used app and the currently being used app by just double tapping the recent apps button. All you Windows fans out there, yeah it’s your same Alt+Tab thing going on here. Another subtle addition is the Clear All options in the recent apps section so you can get all the unnecessary apps which are open, cleared away with a single tap instead of flicking each one individually. Not a big feature bump I agree but still a neat addition to score a few more points. Chromebook users will be a huge fan of this one particular feature. The seamless update feature made it uber simple to switch between releases without even checking for an update or actual agreeing to download one. The system downloads the update in the background and whenever you reboot your device the system gets swapped out for the new one. This exactly how seamless updates are going to work on Android Nougat from now on. The phone will automatically download the update for you and on the next reboot, it will be swapped out for the new system version. Google bye, the old and annoying Optimizing Apps dialog. 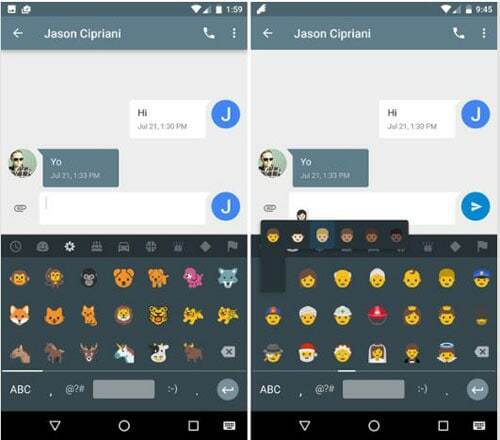 With the new release of Android, the system incorporated Unicode 8 Emoji support. This brought a bunch of new emojis to use and each Emoji had a racial representation in form of skin tones. As an attempt to promote women empowerment the emojis also include women profession representation. Android has been a platform of evolution since its inception back in the days. Each release cycle of the OS shows new possibilities and enhancements to things that were already present in the system. One of this is automatic updates, which you need to turn on under the Developer Options. This basically frees you from the hassle of checking for a new system update and offloads the task to the os for doing so. This is not something which you would not be able to do by using a Xposed Mod but having it natively implemented in the system is always a plus. One of the most awaited part of a new Android release for an Android enthusiast happens to be the Easter Egg that ships with each new version of Android. While Marshmallow had the same old clone of Flappy Bird game like we had on Lollipop, Nougat took a different turn with an absolutely new Easter Egg. You place food/treats for a cat and try to trap it. Not much of a Pokémon Go like action but still good enough. In recent years, Android has been getting closer to what custom ROMs claim to offer users. This means that there’s going to be a time when Rooting, Flashing a custom ROM etc won’t actually be necessary just for the sake of customizing the OS to the user’s needs. This will hold true even for the power users as well. 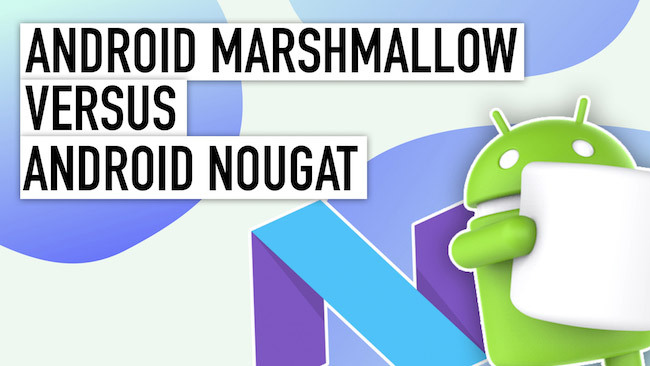 It’s a clear win for Android Nougat in this comparison. And for that matter, every new release of a platform so widely used and so big, it’s inevitable that the company maintaining it would be required to step up their game each time. Lollipop was the biggest change to Android after Ice-cream Sandwich with new features like new recent apps screen, material design, support for 64 bit SoCs, and then, with the release of Marshmallow, it felt like the best parts of Lollipop got a revamp and a finishing touch. With support for Fingerprint, Doze, and a better clipboard support, Marshmallow enhanced, what was already great with Lollipop. With the latest Nougat release, Google built a lot of new stuff over the foundation laid by previous Android releases. With major additions like Multi Window, enhanced Notifications system and Doze On The Go and some minor improvements which upped the UX a notch, Nougat showcased the maturity of the platform. With such promising features and, Google I/O only about 6 months away, we can only see the next release of Android, winning the comparison blog later in 2017. I am not really satisfied with Marshmallow. Somehow, I didn’t like it. So, I am looking forward to use a Nougat device asap! I’m using Android Nougat, and it is amazing. Marshmallow is fun but trying the latest thing is always awesome. I seriously hoped that marshmallow will have a better notification center. I mean, if you notice almost all the Android versions usually has big notification changes. What your comment on that? Thanks for the post! highly appreciate it! Great Article Prateek. I am really excited for android N. Do you have any idea when One Plus might release the update of Androing N for One plus 2? Marshmallow is good and I’m using it. I’ve not used and tested nougat. May be I need to check it out. Anyways at this time, I’m enjoying the Marshmallow features and so far I’ve not faced any problem. Thanks for sharing the comparison. I use Android Nougat because it is the latest. I am using Marshmallow on Redmi note 4! But I don’t know to upgrade Nougat anyone tell me. The roll out seems to be in phases, and therefore not all users will get it immediately. I always like to use Android latest version on my devices.